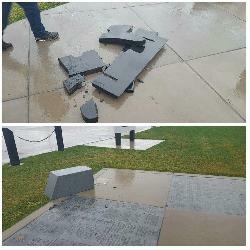 On or about December 11th, 2015, the Veteran’s Memorial Plaza, located at 1801 Admiral Sheehy Drive in Dubuque, was intentionally damaged by someone who drove a vehicle through the plaza and struck benches and a monument. 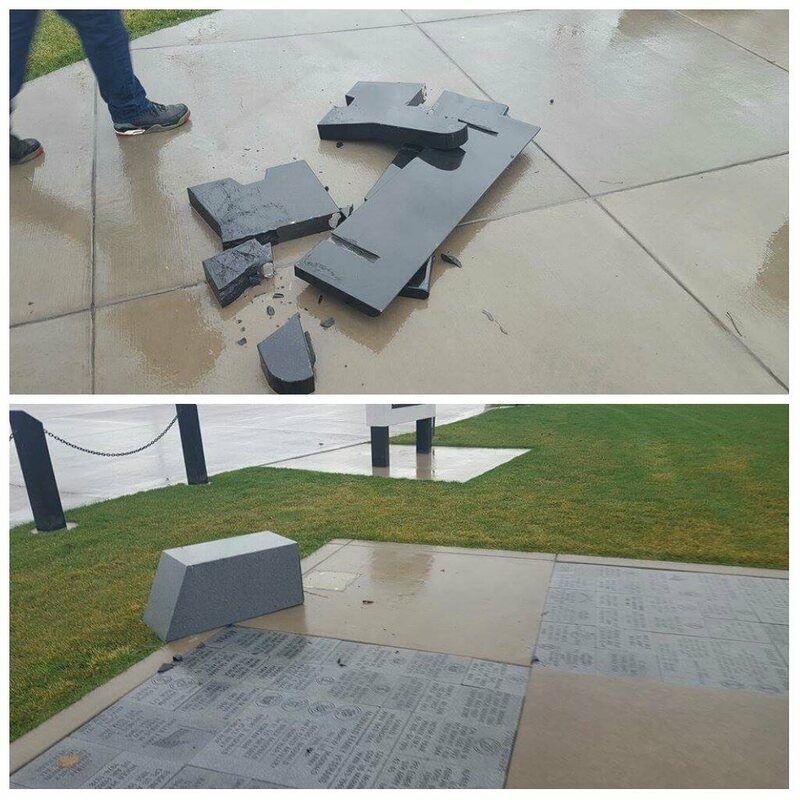 The initial damage estimate is $15,000 but subject to change as a more thorough assessment is to be conducted. A vehicle of interest has been developed and described as an older model sport utility vehicle (a Jeep Cherokee or similar style/model), dark in color, with a storage rack on the roof. The investigation remains ongoing and Crime Stoppers is asking individuals with information to call 800.747.0117 or 563.588.0714. Callers may remain anonymous and if the information leads to an arrest, a cash reward of up to $1,000 may be awarded. Tips can also be submitted anonymously online at www.cityofdubuque.org/police or through the MyDBQ smartphone app available at www.cityofdubuque.org/MyDBQ.